Over the past few years, I have really gotten into rustic design trends. 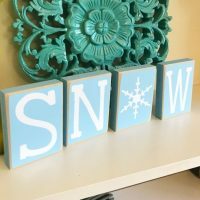 I have redone a lot of my year-round decor in a more homespun style. 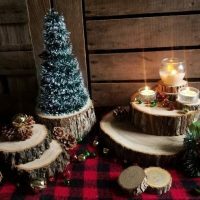 So with the holidays coming up, I started looking up rustic Christmas tree ideas and searching for rustic Christmas decorations to make. 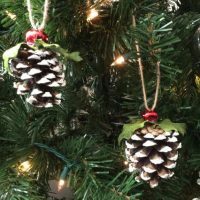 Along the way, I came up with a few great ideas of my own for DIY rustic Christmas decorations. Today, I want to share one with you which only requires a few simple supplies. Chances are good that you already have some of them waiting for you in your craft room. So what does our project entail? 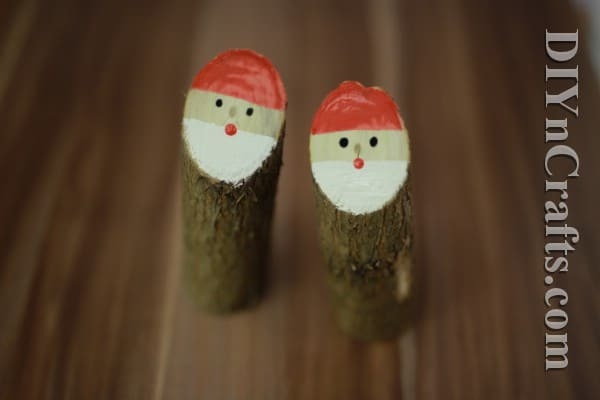 You’re going to learn how to make an adorable Santa decoration out of an ordinary cut tree branch! One nice thing about this project is that it is supremely easy. 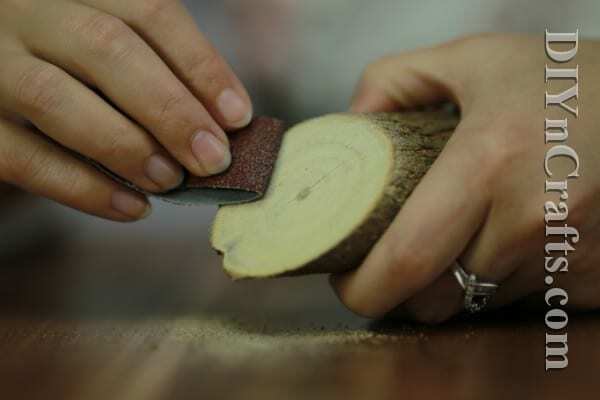 The only step which involves a sharp-edged tool is an initial one with a saw where you prepare your branch. You can take care of this step yourself, but the rest of the project would be fine to do even with young children. 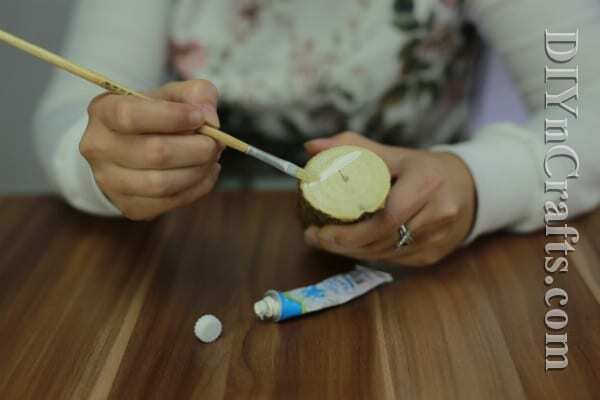 Because this product is fast and easy, it also lends itself to rustic Christmas gift ideas. You could produce a number these decorations in a very short time. 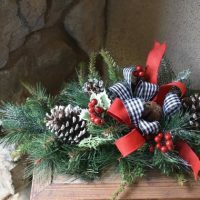 Whether you wrap them up or simply attach a bow and tag to each, they allow you to bring some rustic Christmas cheer to the homes of your friends and family. Let’s go ahead and get started. 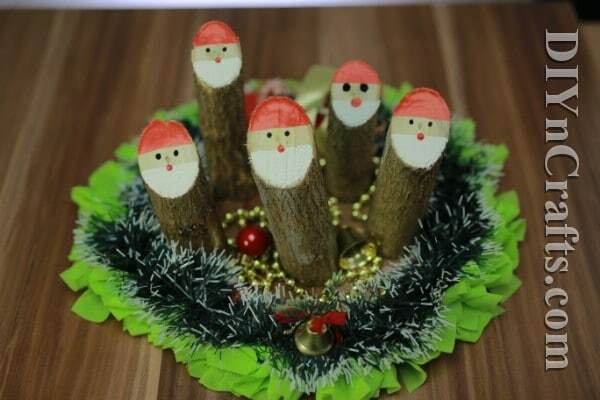 First, I will list what materials you need to create your rustic tree branch Santa decoration. Then, I will write up the steps for you. Be sure to watch the video so that you can how to do each one. 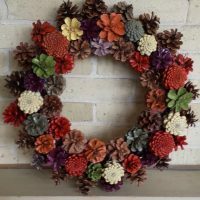 Looking for rustic Christmas decoration ideas which are fast, fun and easy to make? 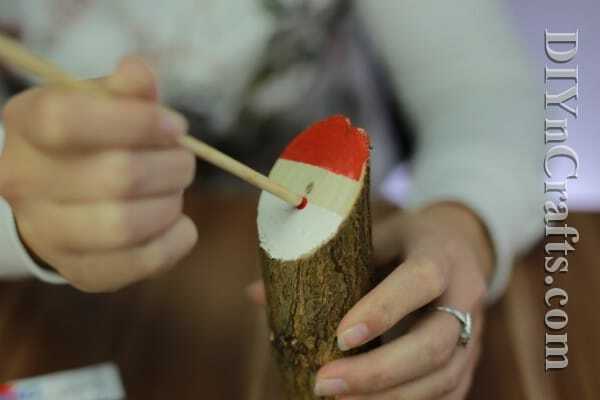 We’ll teach you how to turn a tree branch from your own backyard into a cute homespun Santa decoration using just a few basic steps and supplies. Check out the video now! A cut tree branches (the exact size and shape is up to you, but lean toward one which is relatively straight). White, red, and black paint. Markers or pens in red and black. Begin by cutting the tree branch you want to use. While you can go with any size or shape, a straight branch will be most stable. Cut one end so that it is flat across. This will be the base of the Santa decoration. Cut the other at an angle. This will be Santa’s face. Double check to make sure it can stand upright and unsupported before you continue. 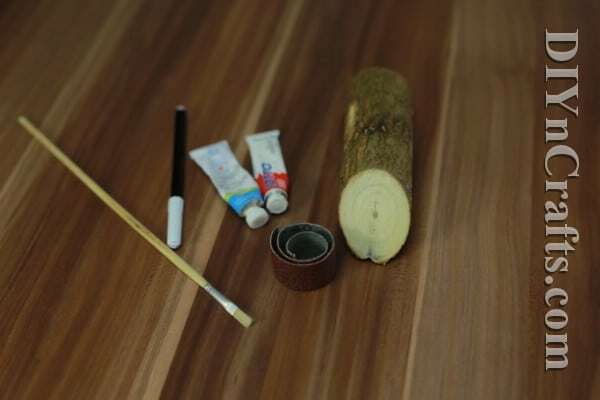 Get some sandpaper and gently rub the angled edge. You are doing this in order to make the surface smooth enough to paint. Paint Santa’s beard.Now, it is time for the fun part: painting! What is really important here is that you use a small paint brush so that you can be as precise as possible with your lines. 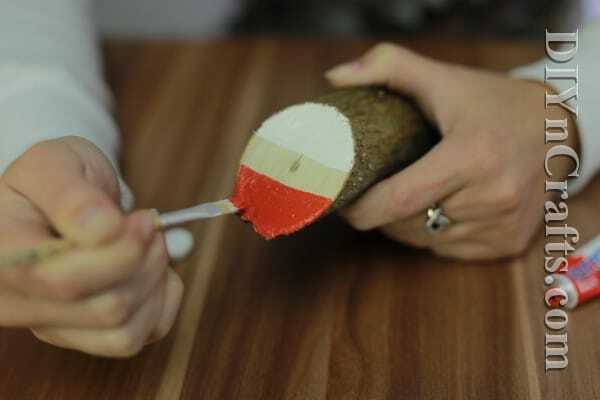 You're going to end up painting the top section of the angled face of the wood red, and the bottom section white. The red will represent Santa’s hat, and the white will represent his beard. An unpainted section in the middle will be his face. With that in mind, start with the white paint. Fill in the bottom part to create the beard. With the stick that I used, the white section measured around 0,8 inch / 2 cm. Paint Santa’s hat. Now, repeat this on the top section of the angled face with the red paint to create the hat. Again, for me, is comprised around 2 cm. For you, it may be different. Create the nose and eyes. 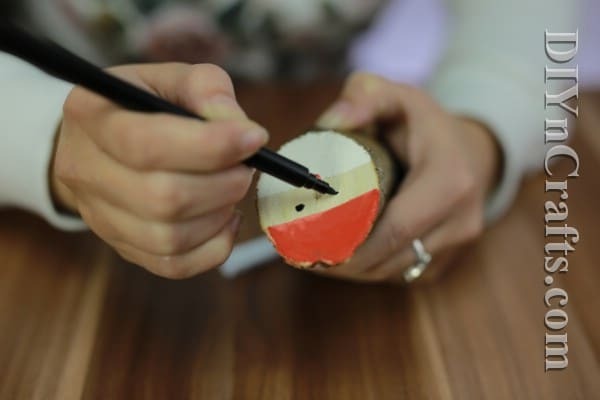 Using red paint or a red marker or pen, dab or draw on a little red nose just above the beard. Use black paint or a black marker or pen to create the eyes above that. You can probably grab the tree branch from your own backyard! Be sure to get several if you want to make more than one Santa decoration. That is all there is to it! 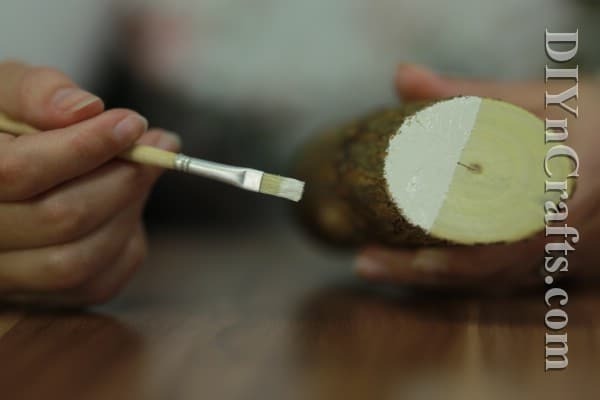 You do not need to paint or finish off the outside edges of the stick at all. In fact, leaving the circumference of the branch rough and natural is largely what creates the rustic appeal of this project. Experiment with different types of branches and sticks to discover which look you enjoy best. 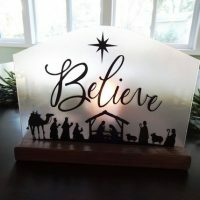 Another cool thing about using natural tree branches like this is that each and every Santa decoration that you create will be completely one-of-a-kind. This really enhances the gift-giving potential, since each of your recipients is of course unique as well. 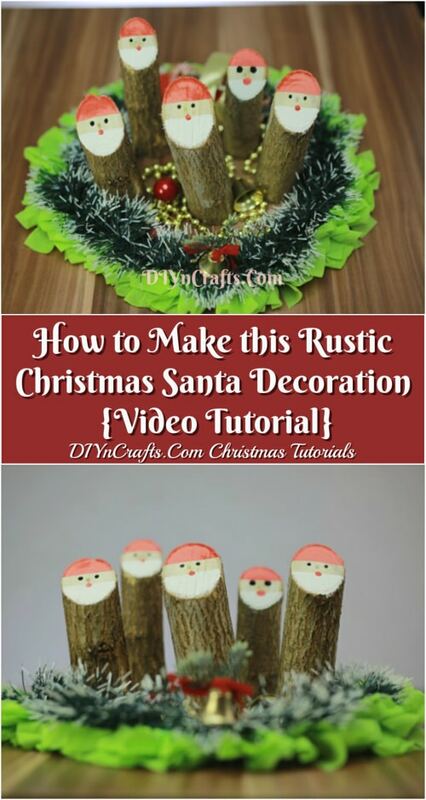 You can set these rustic Santa decorations anywhere you like. If you already have rustic decor in your home, they will really complement your interior. If you do not have many rustic items right now, they will help lend that air of old-fashioned Christmas warmth and comfort to your home. Enjoy the project, and here’s wishing you a rustic holiday season!